When your computer’s “Help” doesn’t help, it’s time to call Master Techs Inc.—they’ll help. Your place or theirs? 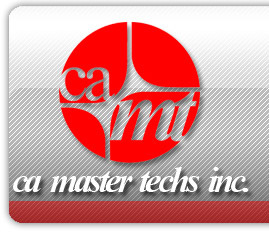 Work can be performed in Master Techs Inc. Novato or their American Canyon shop or they can come to you. Your place could be in Marin, Napa, Sonoma, Vallejo, American Canyon or as far as Sacramento or San Francisco, Master Techs Inc. will be there. If your computer, hard drive, power supply, printer, monitor or other peripheral is sending you indecipherable messages, making noises that are technically described as scary, acting out, or have plain just quit, Master Techs Inc. can diagnose the problem and fix it. They’re knowledgeable, capable, patient and determined. They’ll sell you the parts you need— nothing more—and fix what needs fixing— nothing else. "We know how maddening it is when electronic devices go bad, and know how essential your computer and related devices are to you. We’ve seen it all but will approach your job with a fresh eye and a focus on quality and prompt service."